Are you looking to make your child’s next birthday party unforgettable? 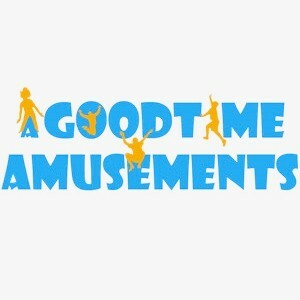 Then you need rentals from aGoodtime Amusements. We are the one stop shop for everything our customers need to throw the most exciting party! Our selection of rental options is massive. We are the largest provider of rental inflatables in the Baltimore/DC area. But the fun doesn’t stop at inflatables like bouncy houses or water slides. We also have a variety of fun food equipment that makes hosting a birthday party and feeding your guests a breeze. Our company strives to deliver 100% customer satisfaction. From the time you place an order, to the delivery and cleanliness of our rental products, we want our customers thrilled with their experience so you can enjoy the options you select and have a blast using them.